Infographics are becoming popular tools for blog creators and great for the short attention spans of internet users. 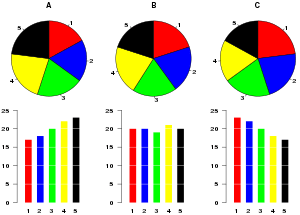 Hohli is a simple online chart maker great for pie charts and venn diagrams. Creately lets you make easy-to-make diagrams and flow charts (easy to collaborate too). Many Eyes lets you upload your own data or use data already stored on the site. Wordle lets you create word visualisations using text you enter. Remember to keep it simple. If you have some infographic tools you would like to share feel free to comment back and share them. mkbirdbks, I am honored to have met you and I thank you for all your support. Are you connecting with your crowd? You can learn to turn customers into raving fans by running campaigns and making them a recurring fixtures in your Social Media strategy. How to turn customers into friends, fans and followers? Poll your Followers. This is the fastest source of active conversation on any topic. Ask them what types of recipes they want to see more of from your cooking show or what they want to see on this summers menu from your restaraunt. Use Facebook Questions because it allows you to ask open-ended questions and create multiple choice polls. Trivia Promotions. Consider offering reduced-price or free services as prizes for the first correct answer. Be sure the platform you use has all the social media sharing tools built in so participants can use Facebook and Twitter to let their social networks know about the contest. After all, turning participants into promoters is one of the main reasons to run a crowdsourcing campaign in the first place. Ask for feedback(then do something about it). Use Facebook discussions and ask an open-ended question. Then have people vote on the best responses. So don’t give up in the beginning if there is not a lot of participation. Repeat the programs on a regular basis. Trust that you have a clear understanding of the behaviors you’re trying to solicit and that your community is eager to participate. So, are you connecting with your crowd? Your descriptions in Google Places and Yelp are an absolute must for trust building and local SEO. Local businesses should start stimulating reviews in all the right places to their marketing checklist. Google has started indexing local search with phrases that go with things like reviews. At the moment, this is just a Google Maps function because earlier this week they added descriptive terms to Google Map searches. However, Google is claiming that it will spread to Place Search on Google.com and Google Maps for Mobile Soon. Local businesses should start keyword phrases for those reviews people are so anxious to write! In today’s world, Social Media has allowed Marketers to stay connected with people throughout their day. Connecting with people is the beginning. Let’s look at the best practices for reaching your business goals. Plan your strategy. Social Media should be part of your broader Marketing efforts and how you reach your business goals. Create an authentic brand voice. Social Networks like Facebook and Twitter are ideal places to bring your brand personality to life. Make it interactive. Always engage and share with others. Engage in 2-way conversations. What about your brand is social? Use your answer to create content that people want to pass along to others. Nurture your relationships. Always keep content fresh and reward people for their loyalty through deals and promotions. Keep learning. Use reporting tools to find out about your friends and followers and the content and products they find most interesting.